They are matte, but not dry matte. 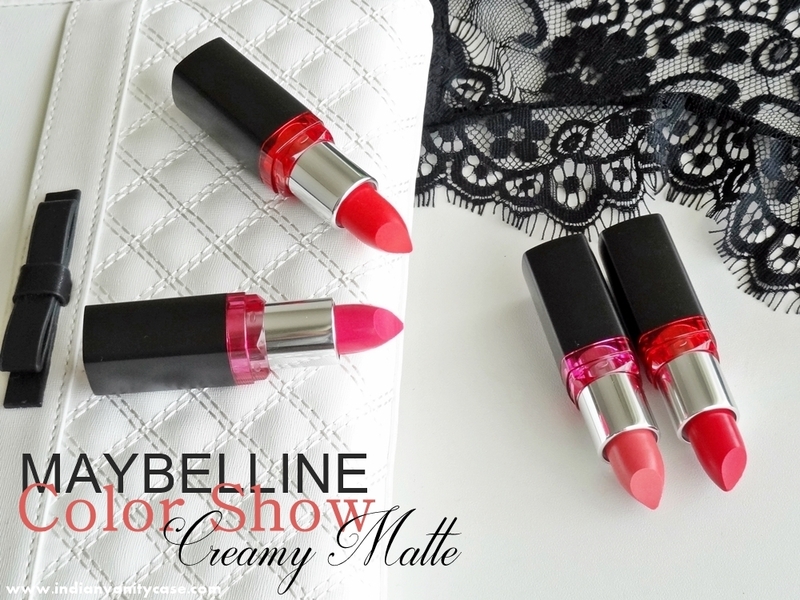 Meet the NEW Maybelline Color Show Creamy Matte Lipsticks! Rock The Coral M103 ~ I.Am.So.In.Love.With.This.Shade. See it on my lips below. Flaming Fuchsia M104 ~ Hot pink. When I wear this, I never want to take it off! Especially when it's blotted and looks very matte. It is like a darker version of my most loved coral lipstick - MAC Betty Bright from Archie's Girls Collection, which you can check out HERE. Have you girls picked up any yet? Where did you get these from? These look awesome. The shades look nice. I am looking forward to try the brown shade from the collection. all the shades are just so pretty...totally getting these! The coral, pink and red are sooo gorgeous! I can see them all being gorgeous on you and I'd be happy to swatch them in person! I own dis fushia shade. Bot it frw days back. M in love wid d texture of dis lippie. Staying power is also awesome. M looking forward to dis coral shade. I love that LOTD. The shades are beautiful I m using Firecracker Red and I love it. Beautiful Pics. Have to get Rock the Coral ASAP!